As we get older and as we take on more and more responsibilities, money management can become a more and more challenging process. Suddenly we find ourselves with more different outgoings and standing orders than we can count, and worse is the fact that all of them come out on different days. Some of them won’t even be the same each month and this can make it difficult to keep track of it all to say the least. Then on top of all this are things like savings that we might be making to go on holiday, or just in general, and the various expenses and purchases we make. Combined with multiple incomes many of us have no idea what our bank balance looks like at any given time. Here then we will look at how you can get on top of this and start to track your various expenses and incomes so that you have a better idea of your cash flow. At the same time we’ll look at how to plan toward saving something, and we’ll look at how all this can help you to save money. You might think that you’ve got it bad when it comes to money management, but compared to a large corporation you have relatively very little to calculate and keep track of. So how do these big conglomerates manage? The answer is by using something called ‘financial modelling’. Here they will make a graph, chart or general projection of their finances based on their existing money to help them visualize their income and overheads, and to help them plan for the future based on their projections. You can do something similar yourself by using a spread sheet program like Excel. Here you will input your various outgoings and income into the sheet so that it keeps a tally of everything that is coming in and out. If you include a date, then having a quick look at that can tell you how much will be coming out each day – but it can also help to make a little list and to stick it to your fridge door. More importantly what you can do with the spread sheet is to include some maths to calculate how much you should have coming in and out and how much you will be left with each month. This then allows you to budget, and means that you know how much spare you have at the end each month. If you are happy for this to be a rough guide then you can set aside a set amount for your food and other expenses and include that in the calculation. However, better yet is to fill out specifically what you have spent each month as you go. The best way to do this is by using a cash book and making a little note each time you spend any money – whether it’s a cup of tea or a brand new TV. Then when you get home at the end of the day you can transfer the total amount to that month’s spread sheet and this will allow you to see how much you’ve spent so far, how much is left, and whether you will be able to afford the upcoming bills as they approach. If you find that you struggle to stick within your budget, then a great strategy is to use multiple accounts and to set up standing orders between them. This way you can ensure that your savings are automatically transferred from your main account meaning you can’t dip into them without using your other card. At the same time you can ensure that money comes in from another source just before the date of your insurance debits/loan repayments etc which will prevent them from bouncing. Often times adjusting your financial lifestyle after divorce is a must. Knowing a few tips on how to manage your money can come in handy. Money Management, It's most important for improve and secure your future. 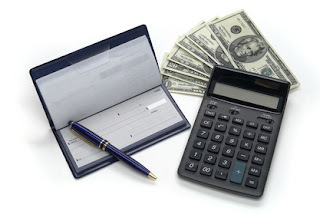 Foreign Exchange Money Management is one of the best way in Managing Money.